If you work in logistics, you probably get a lot of confused faces and hesitant, nodding heads when talking about your job to people who are not familiar with the industry. 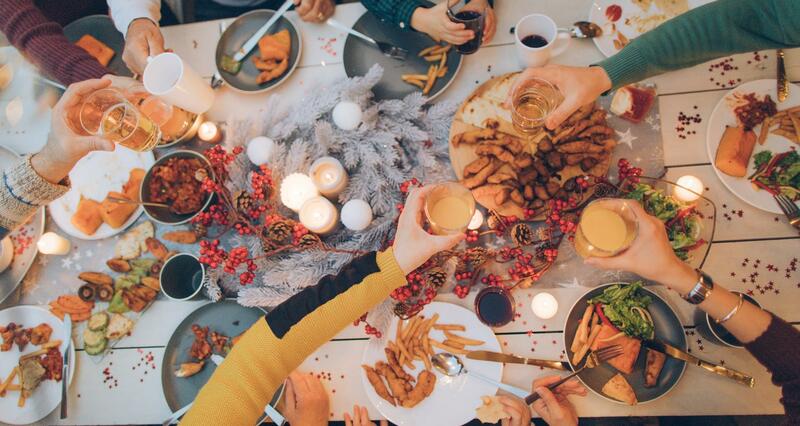 With the holiday season upon us and family gatherings in our future, we asked LoadDelivered team members to explain what it is we do each day to help you answer the inevitable question asked around the dinner table. "Look around you. Everything you see in this room was shipped on a truck at one point in time. Kind of crazy to think about, right? You ask me what I do for a living? I am responsible for making sure that product gets from point A to point B in the timeliest and most cost-effective manner possible. Is it easy? Definitely not always. Is it rewarding knowing that we are a big part of what keep the world literally moving? For sure. #allaboutthatfreight"
"I compare the relationship between the carrier and customer sides of the business to that of an internal LDL auction. The Business Development Manager is comparable to the auctioneer, while the entire carrier department is the bidding crowd. The auctioneer has a product (a load/shipment) that everyone else is putting their individual bids on. These bids have a variety of factors such as price, proximity of the truck to the load, reputation of the carrier, equipment type, etc. that may make their bid desirable or undesirable. Ideally, the Business Development Manager gets to decide by weighing in all these characteristics to present the best serviceable option to the numerous customers we work with daily." "Logistics is part of our everyday lives. The simple choices you make can help explain the industry. When you decide to go to the corner market, versus a grocery store or wholesale store, the choice is based on the product you want and the amount you need. When you choose to walk, take an Uber, or drive yourself, the choice is based on how much you are buying and the best way to travel with those products. Do you ever think which route is fastest? Or which route will have the least amount of traffic? Why are you making those decisions? It’s logistics! From the warehouses to the shelves, logistics is each decision made to ensure products are delivered safely, securely, and at the lowest cost." "As a 3PL (third party logistics company), we are the intermediary between our customer and trucking companies. Our customers will reach out and tell us they have a shipment and we will then contact our carrier partners to see who has trucks in the needed area that would be able to properly service our customers’ shipments. At the end of the day, what we are really doing is making sure all the ingredients needed to make your holiday meal are in the store on time!" "To me, logistics is making sure that the customer service we provide exceeds the standards of what customers are looking for. It is more than just a shipment going from origin to destination. There is the “in between” where communication is vital, such as if there is a delay in a shipment or just to advise the customer on the current status of a load. Building relationships with both customers and carriers is extremely important to success and growth as a company." Are You Considering a Job in Logistics? LoadDelivered is hiring! Check out our open positions and apply today. How do you explain your logistics career? Leave a comment below and tell us!